By popular demand, we are providing a downloadable PDf of our new butterfly guide. This way you can see a digital version and save paper. Do not try to print it out… It is set up to be read on a computer. We will print all six of our new or reprinted guides over the next week. Next: The new Saw Mill Creek Paddling Guide. 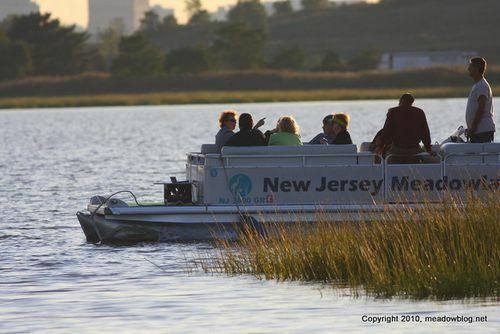 For the first anniversary of our third-Tuesday-of-the-month nature walks, we thought we would do a Hackensack River cruise on the New Jersey Meadowlands Commission's great pontoon boats. The cruise lasts two hours and costs just $15. We are aiming to make this a cruise for both birders and nature photographers. You can download a registration form here. You can call 201-460-4640 to reserve a seat or two and to get more information. Space is limited, so best to register early. If there's a lot of demand, we will see if we can do more of these. 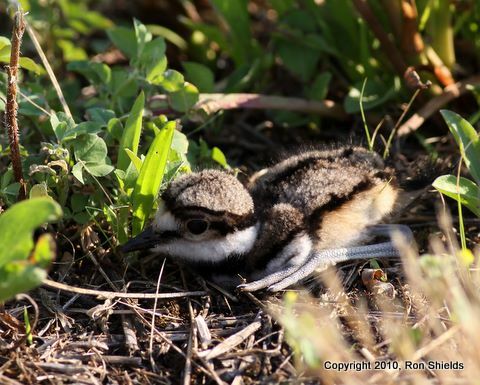 This NJMC cruise is in conjunction with the Bergen County Audubon Society, and Don Torino of BCAS and Jim Wright of the NJMC will be pointing out various BOIs (birds of interest). Link to the registration form is here; fill in "Bird Cruise, July 20" for the date. 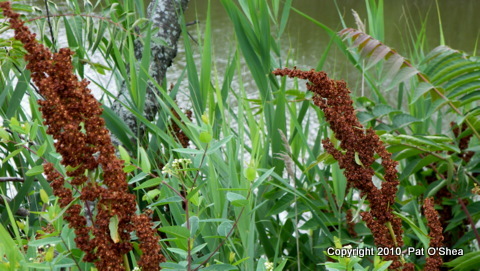 We see this plant growing lots of places in the Meadowlands?